Tunis – On 15 August, IOM, the UN Migration Agency, organized a round table on Migrants Health in Libya as part of the regional project, ‘Promoting health and wellbeing among migrants in Morocco, Egypt, Libya, Tunisia and Yemen.’ This project is funded by the Ministry of Foreign Affairs of Finland. There are estimated to be more than 1.3 million people without access to healthcare throughout Libya. With large numbers of migrants, some estimates say close to 1 million, and internally displaced persons, 226,164, the health system is facing significant challenges in providing essential health services and in monitoring the health of migrants, displaced persons and host communities. IOM is working closely with the Libyan authorities and partners in promoting medical assistance and health interventions including in detention centres, at main migrant disembarkation points for Europe and as part of voluntary humanitarian returns. The round table discussion advanced the development of Libyan authorities’ policies on national and migrant health. 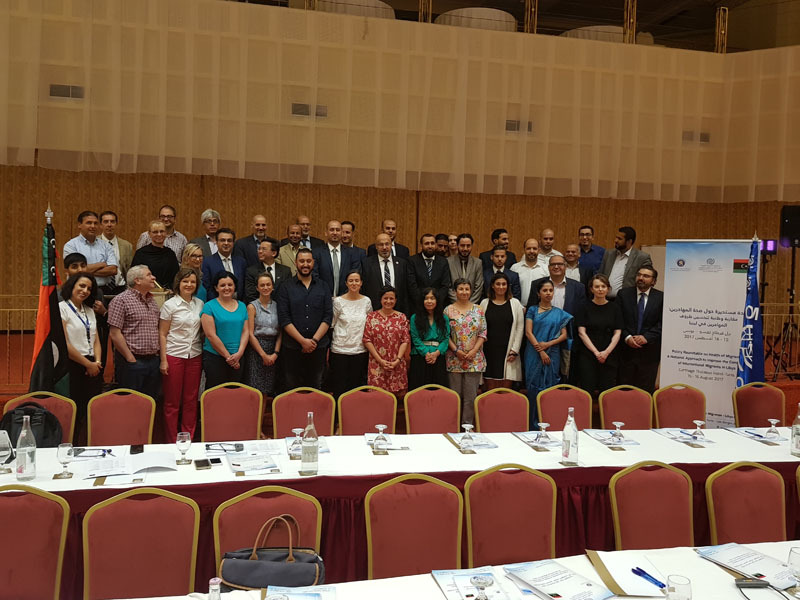 The event was attended by the Deputy Ministry of Health and the General Director of the National Centres for Disease Control (NCDC) in Libya among other officials from the health, immigration, security and social affairs sectors. Presentations and discussions at the round table were led by IOM, the World Health Organization (WHO), the United Nations Population Fund and Ministry of Public Health representative from Thailand. 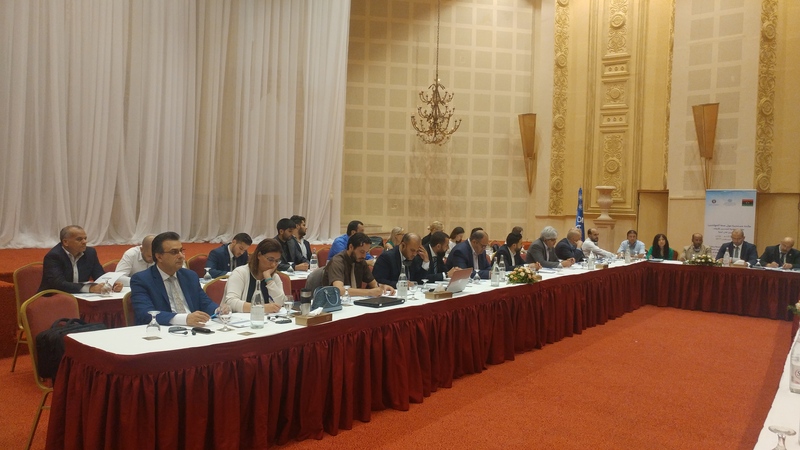 “IOM will continue technical support and collaboration with the Government of Libya in advancing the migration health agenda, in partnership with WHO to address the health needs of internally displaced persons, returnees, and migrants and host community,” said Othman Belbeisi, IOM Libya Chief of Mission. Belbeisi also referred to IOM Director General William Lacy Swing’s recent visit to Tripoli earlier in August, where he had emphasized IOM’s response in Libya as of paramount importance to the Organization. In light of the priorities established during the 70th World Health Assembly and the recommendations put forth in the 2017 Colombo Statement to promote the health of migrants globally, as well as ongoing advocacy to ensure that migration health is adequately addressed in the global compacts for refugees and migration, such multisectoral dialogue is key to developing and mainstreaming migration into national health policies in Libya. “This round table and capacity building workshop further reiterate IOM’s ongoing work in providing medical and humanitarian assistance to migrants and mainstreaming migration health across IOM’s overall engagement in Libya,” said Dr. Poonam Dhavan, IOM Migration Health Programme Coordinator based in the Organization’s headquarters, following her presentation on migration health programmes in Libya. Sessions during the round table included a joint discussion moderated by IOM and WHO on actionable health commitments for Libya. Dr. Phusit Prakongsai from the Ministry of Public Health of Thailand presented a case study of Thailand’s steps for migrant inclusive health policies. 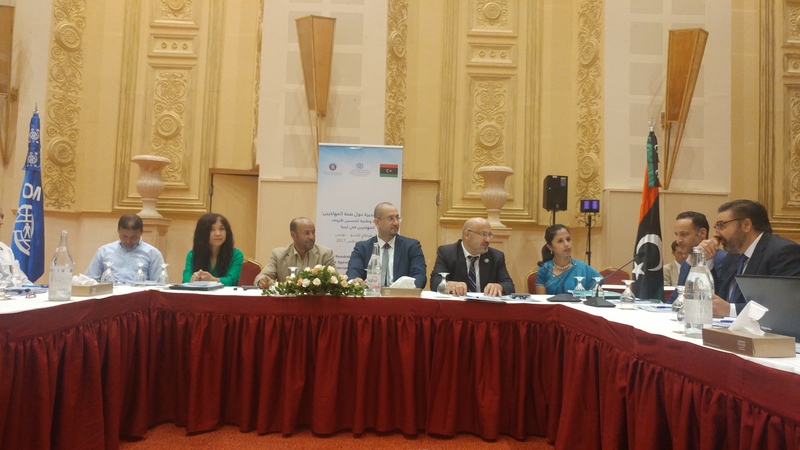 The roundtable is set to be followed by a training bringing together other officials from the national and regional level in order to strengthen the operational capacities relating to migrants health in Libya.